The corks were intended for a different project and we had a few left over. Naturally, we kept them on hand, shoved onto my shelves overflowing with materials, awaiting the perfect project. It’s not horading. It’s art. 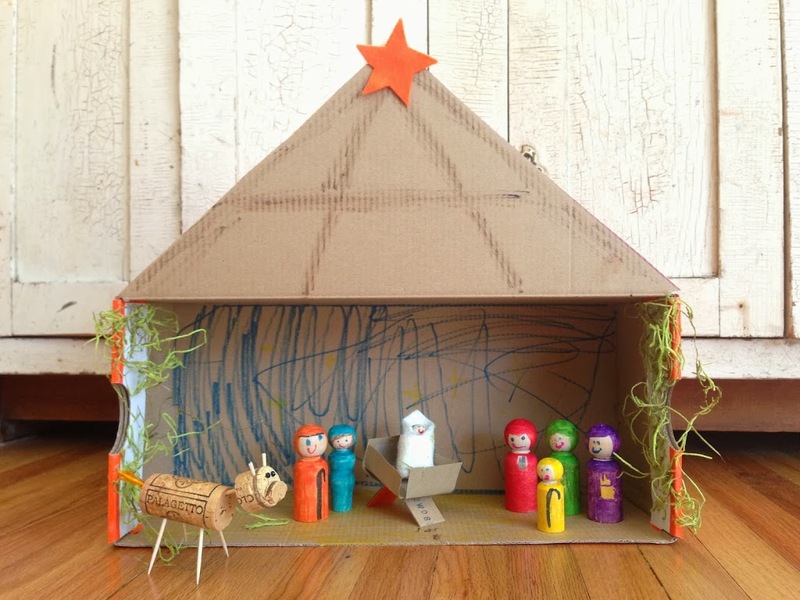 Little Lady crafted a Nativity Scene out of a shoe box one afternoon last week to make use of the little wooden people forms we finally purchased online. I was obsessed with these as a young girl. As the youngest in the family, by a stretch of years, I was often mom’s solo sidekick. She would tote me around to fabrics stores, thrift shops and craft stores. I would stand in front of this section of raw wooden forms at a local framing shop and daydream. I had plans for each and every little character that seemed to be staring at me longing for a new home. Luckily, she’d usually let me take one or two home to paint and clothe. Then I made them houses. I remember her giving me one to keep in my pocket at school when I was processing separation anxiety in my early grade school years…to keep her near during the day. I love her. 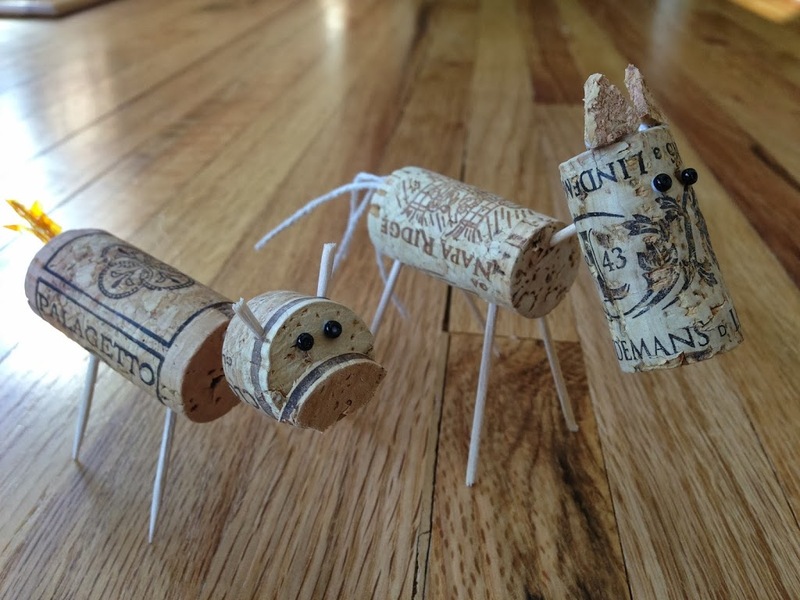 Little Lady needed critters to complete her Christmas scene and the cork medium seemed suitable. We used toothpicks for legs and tails. 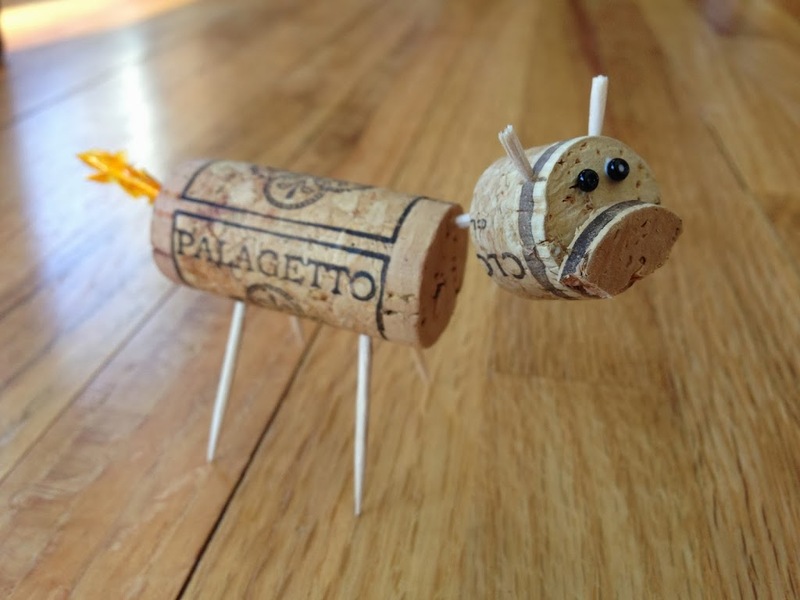 I quite admire the fancy toothpick she used for the cow-pig hybrid. Seed beads made for great eyes. 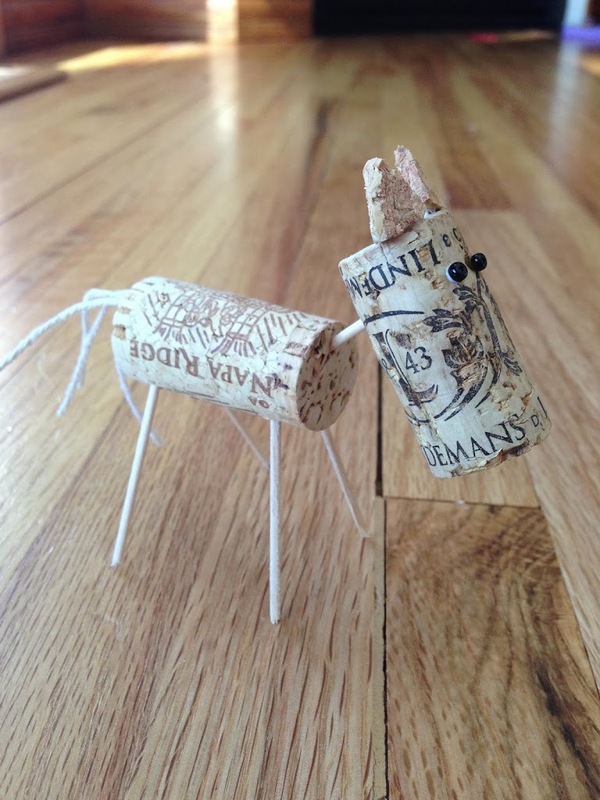 You can cut cork to size, for heads and muzzles, with a steak knife (grown-ups only!) on a cutting board. Tacky Glue is a great all-around adhesive.